Learn to Archive your Physical Photos! Join us on April 23 at Lakeville from 3:30 p.m. to 4:30 p.m.
Do you have an old family photo that has special meaning to you that you don’t want to see get lost or destroyed? Well this program is right for you. Learn how to use both library resources (such as scanner, and computers) as well as personal technology such as (mobile devices) to create a digital copy of your photos. Please bring a photo or two you would like to preserve digitally. No experience necessary. Registration preferred. If space is available walk-ins are welcome on a first come first served basis. Register online, in person, or by phone, 466-8055, ext. 230. Last Thursday of every month At Main from 3 p.m. to 9 p.m.
Have you ever wanted to walk in outer space, dive on a shipwreck, experience the wild west, or even visit the Great Wall of China? Well, now you can! Stop on by any of these days to start your own virtual experience. We have experiences tailored for all comfort levels. 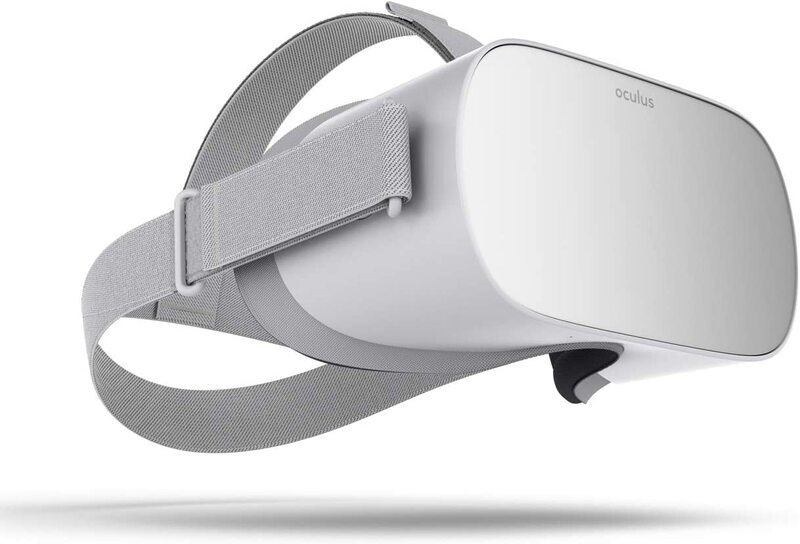 Learn about what exactly VR is and how it can be used in our world, through the libraries own Oculus Go and Oculus Rift VR devices! Participants must be 13 years or older. Registration preferred. If space is available walk-ins are welcome on a first come first served basis. The last appointment is 8:30 pm. Engrave a Personalized Gift for Mom! Join us on April 27 at Main between 11 p.m to 1 p.m. and 3 p.m. to 5 p.m. Attention Families! Mother’s Day is approaching fast. 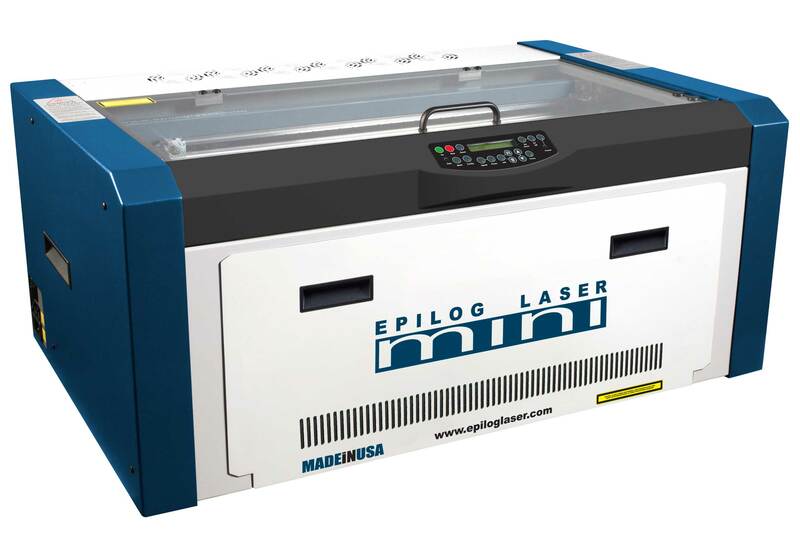 Why not have some fun creating a personalized gift for mom using computer software and our Epilog Laser Cutter. Haven't you always wanted to make mom that one of a kind keepsake she will treasure forever! All ages are welcome to attend this is a family-friendly event. This is a great opportunity for children to work with a parent to make a customized gift! No experience necessary. Registration preferred. If space is available walk-ins are welcome on a first come first served basis. Projects should take about 15-30 minutes to both design and print. To Register Click Here: Make Mom a Gift! Intermediate 3D printing class at Main from 7 p.m. to 8 p.m.
Further your 3D Printing and design skill in this class by working with Tinkercad to create more complexed objects. Learn how to use the Duplicate tool and make the workplane work for you. Basic 3D Printing Class or similar knowledge of using Tinkercad is required for the class. Registration required for this class. Note: This only registers you for the April 30th program. If you are interested in the June 25th program please register for the event on that day. Join us for a 5-week course of STEM Challenges with Sphero (May 1, 8, 15, 22 and 29) at Main from 4:30 p.m. to 5:30 p.m. Registration is for all 5 weeks and can be found in the Jr. Levels calendar. Ever wanted to learn to code? Ever coded before but want to do more or face some cool challenges? Then this is your time to shine! In this course, we will introduce you to Sphero, our coding robots, and teach you the basics of coding. As the weeks progress you will improve your understanding of code as the challenges you face become more difficult! No experience necessary. Registration Required and is located in the Jr. Levels calendar. Jr. Levels Programs are for children in 5th and 6th grade. Learn how to unlock all the free apps you have with your Gmail account! This Spring we are offering courses in Gmail, Google Docs and Google Slides. Register for one or all of these programs. For this event we are covering the basics of Google Doc's, Googles document creation app. We will cover items like how to create a new document, change font size, style and alinmnet and much more. Don’t have a Gmail account? Let us know in the registration form and you can come in a ½ hour before the class starts to set up your own free Gmail account. Registration preferred. If space is available walk-ins are welcome on a first come first served basis. Cinco de Mayo Vacation VR Style! All Ages! 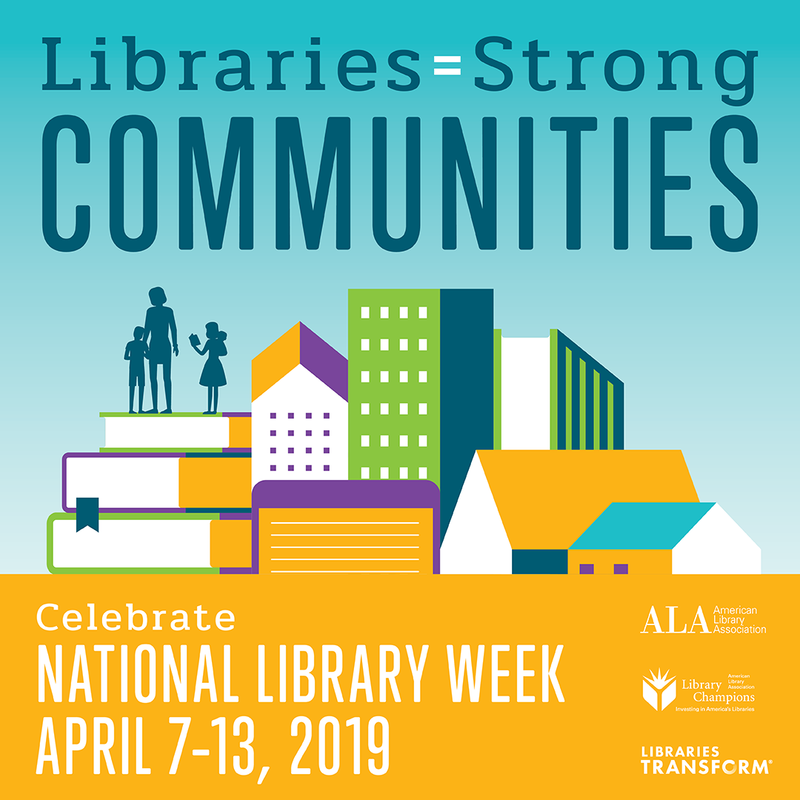 Come by and celebrate Cinco De Mayo by visiting the Great Neck Libraries Stem Lab and taking a short virtual vacation to various location in Mexico. That's right you can now visit Mexico City and many other locations without ever leaving the Great Neck Community, all through the power of Virtual Reality. Learn what it is and how it works all while taking a grand adventure to Mexico. This is the perfect way to kick off your Cinco de Mayo Celebration! Participants must be 13 years or older. Registration preferred. If space is available walk-ins are welcome on a first come first served basis. Teen’s Design a Miniature Golf Course! 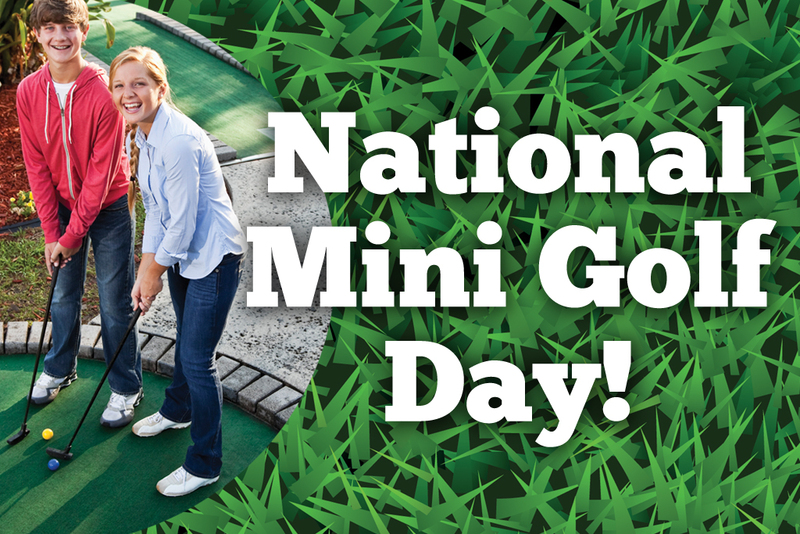 National Miniature Golf Day is right around the corner. Help the Great Neck Library prepare to host its first Miniature Golf Day by designing layouts and obstacles for the courses. Use traditional manufacturing methods such as cardboard boxes, tape, and paint or go fully digital and create 3D printed designs that are completely unique. This is a great project for anyone who wants to show off their creative side, and simply learn about 3D design, or ever wanted to make a Mini Golf Course! 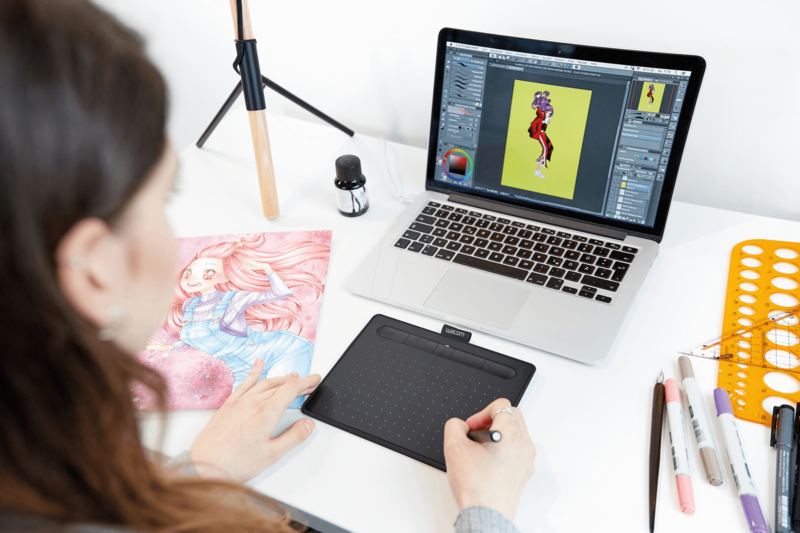 Are you ready to experience the joy of digital painting with our digital paint night! Let your creativity shine as you create a beautiful landscape painting without using any physical paint. To achieve this you will learn how to use the libraries Wacom Intuos drawing tablets and Corel Painters Essentials. Space is extremely limited so sign up asap.No experience or painting skill needed. Registration required. 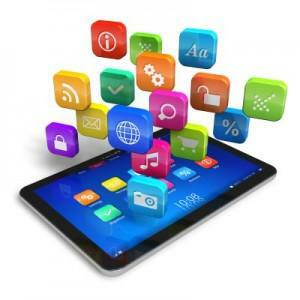 Learn about cool new free apps you could add to your mobile device and how to use them in the STEM Lab every 2nd Friday of the month from 2-3 pm. This is a great way to help you to start making your mobile device work better for you! This month we will discuss some great Organizational Apps you can put on your device to help keep you on track with life, work, pills and more! No experience necessary. Registration preferred. If space is available walk-ins are welcome on a first come first served basis. Feel free to bring your mobile device. Join us on May 11 at Main 1 p.m. to 5 p.m. Celebrate National Miniature Golf Day at the Great Neck Library! Play a round of miniature golf with your family or friends using the libraries Sphero coding robots. No golf club will be used! Instead, you will be able to either code sphero to navigate the course or uses sphero as a remote controlled ball. Best of all this Miniature golf course will be open rain or shine as it will take place inside. So reserve your Miniature Golf session today! No experience necessary. Fun for all ages! Registration preferred. If space is available walk-ins are welcome on a first come first served basis. Sessions are reservable in 15-minute intervals. To register online please click here: Golf with Sphero! May 13 At Main from 11 a.m. to 12 p.m. Learn the basics of how your iPad works. Topics that may be covered: Understand your settings, searching the internet, how to take a photo, checking your email, customize your iPad, and much more. Please bring your iPad with you. Adults learn the basics of Microsoft Office. This Spring we are offering courses in Word, PowerPoint, and Excel on the 3rd Friday of each month from 2-3 pm in the STEM Lab. Register for one or all of these programs. In this class you will learn how to create a basic PowerPoint presentation, how to navigate and use some of the common settings, and much more! No experience necessary. Registration preferred.If space is available walk-ins are welcome on a first come first served basis. Adult 3D Printing for Beginners! Join us for a 4-week course (May 21, 28, and June 4, and 11) at Main from 7 p.m. to 8 p.m. Registration is for all 4 weeks. Learn the basics of 3d printing and design with our MakerBot Replicator +. Work with Thingiverse, and Tinkercad to print existing designs and make your own! Learn how to make a keychain, bookmark, and more! No experience necessary. Registration Required. Make your own AR for Teens! May 23, at Main from 7 p.m. to 8 p.m. No prior experience necessary. 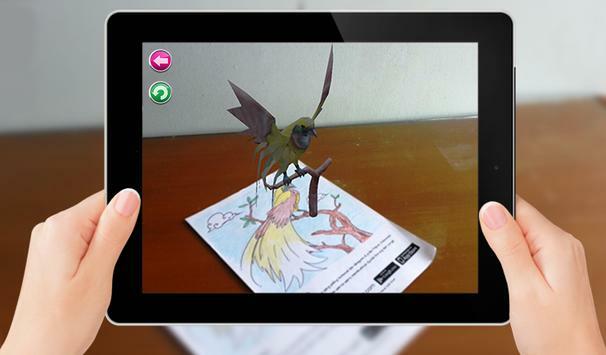 Learn the basics of creating Augmented Reality (AR). Work with a free app entitled HP Reveal on library Ipads, to create an AR scavenger hunt within the Main branch to be used by library patrons on National Scavenger Hunt Day (May 24). AR Scavenger Hunt for Children and Parents! May 24, at Main from 3 p.m. to 5 p.m. Experience the Children's room like never before with Augmented Reality (AR) through the form of a fun AR scavenger hunt in celebration of National Scavenger Hunt Day. Learn about what AR is and what it means for our future! Event takes place in Childrens Room. Join us on May 25, and June 22 at Main from 11 p.m. to 1 p.m. and 2 p.m. to 5 p.m.
Find out all the cool tech toys the library now has in its new STEM Lab. Stop on by to learn and try out some of this emerging tech for yourself, or simply see what we as a community now have access to. Find out about our Sphero Robot, Cricut cutter, laser cutter, 3D printers, Little Bits, VR, and much much more. In this event we will be covering the basics of Google Slides, Googles free presentation app. Some of the topics we will cover will be how to make a Slides presnetation, how to change themes and layouts of slides, how to add more slides how to adjust font formate and much more! Jr. Level’s Little Bits Circuits: Learn Morse Code! Learn how to create a Morse Code Circuit using Little Bits and then learn how to communicate in Morse code just as soldiers and sailors did back in WWII. The program is a technological salute to the men and women who served in WWII as it marks the 75th anniversary of the Battle of Normandy. During the war, Morse code was used by Navy vessels to communicate to one another via lights on deck. Participants in this program will not only learn how to create circuits, but they will also learn a bit about WWII history as well! Engrave a Personalized Gift for Dad! Join us on June 8 at Main between 11 p.m to 1 p.m. and 3 p.m. to 5 p.m. Attention Families! Father’s Day is approaching fast. Why not have some fun creating a personalized gift for mom using computer software and our Epilog Laser Cutter. Haven't you always wanted to make mom that one of a kind keepsake she will treasure forever! To Register Click Here: Make Dad a Gift! June 10 At Main from 11 a.m. to 12 p.m. Learn the basics of how your Android Phone works. Topics that may be covered: How to send a text message, make a call, search the internet, how to take a photo, download and edit apps, understand your settings, customize your phone and much more. Please bring your Phone with you. This month we will discuss some great Educational/ learning Apps you can use to expand not only your learn but your children's learning and grandchildrens learning as well! 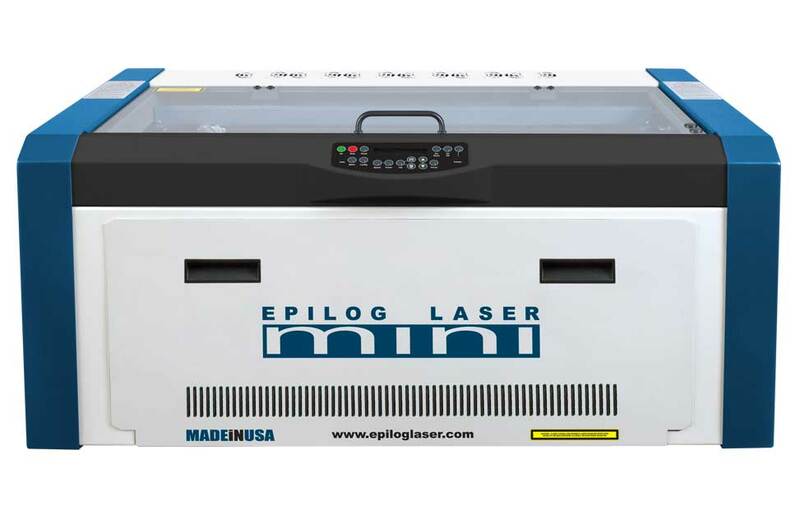 Learn the basics of laser engraving and cutting using our Epilog Laser Cutter and CorelDRAW software. In this class you will learn how the laser cutter operates, what materials it can engrave, and how to create custom engraved designs. In this class you will learn how to create a basic Excel Sheet, how to navigate and use some of the common settings, and much more!